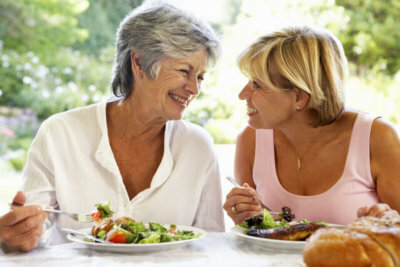 The older we become the more important it is to ensure that we are taking the proper steps for a healthier life. Our health will become more vulnerable the older we get and the kinds of food and the type of lifestyle we have will begin showing its effects on our lives. For this reason, it is important to make sure that you can take steps to stay healthy and independent even as you become older. One way to do that is through a healthy diet. Peachtacular Home Health Care provides personalized Home Health Care in Metro Vancouver. Part of our services includes meal preparation, which we can use to help improve your diet for a better life. Through healthy food, you will be able to maintain and boost your immune system and avoid common illnesses. It will also protect you against serious health conditions such as cancer or Alzheimer’s. The foods that you eat can impact your health in every single way possible. Some food can enhance your eyesight, other food can help you think. There are food choices that can also improve your physical appearance. If you are looking for a way to stay young and feel young, switching to healthier food and a healthier diet is definitely the way to go. Eating right will provide the nutrition your body needs. This means you will feel stronger and you will have more energy throughout the day. This can help you continue doing what you love or even provide you with the energy you need to exercise, which has its own benefits as well. We are a Private Affordable Home Health Care service provider that genuinely cares for you. Through our services and support, we can help you live a more independent and healthier life right in the comfort of home. This includes helping you to eat right! If your diet is not as good as it should be, it is time to start considering some lifestyle changes.